Is the National Highway Traffic Safety Administration (NHTSA) responsible for 13 deaths that have now been tied to a General Motors product defect? According to a recent article in the New York Times, over the last 11 years, the NHTSA has received more than 260 complaints about General Motors vehicles, including those “that suddenly turned off while being driven.” However, the NHTSA never investigated this possible automobile defect. And according to a story in USA Today, a former NHTSA administrator has encouraged a probe into the NHTSA’s decision, emphasizing that it “failed to carry out the law when it didn’t force GM to fix the problem.” GM has now recalled the vehicles that may pose a serious safety risk to consumers. Have you or a loved one been injured by a defective automobile? Over the last decade, thirteen people may have died as a result of the defective product tied to the GM recall. It’s extremely important to speak to an experienced California product liability attorney. You may be able to file a claim for financial compensation. A New York Times analysis suggests that, since February 2003, the NHTSA “received an average of two complaints a month about potentially dangerous shutdowns, but it repeatedly responded that there was not enough evidence of a problem to warrant a safety investigation.” The most recent of these complaints occurred earlier this month. Complaints included “detailed frightening scenes in which moving cars suddenly stalled at high speeds, on highways, in the middle of city traffic, and while crossing railroad tracks.” The complaints emphasized the potentially catastrophic nature of the defect and urged the NHTSA to investigate. According to the New York Times, the NHTSA responded to some of the complaints with a “polite but formulaic letter” indicating that there was insufficient evidence to launch an investigation. But this isn’t the first time that the NHTSA has failed to take action over a potentially catastrophic automobile product defect. For instance, in the late 1990s it failed “to detect a wave of highway rollovers in Ford Explorers with Firestone tires.” That defect ultimately was tied to 271 fatalities. 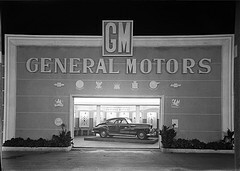 In 2000, Congress passed a law, known as the Tread Act, to require automakers like GM “to report to the safety agency any claims they received blaming defects for serious injuries or deaths, so the government would not have to rely only on consumer reports.” Over the last ten years, GM has received complaints linking the now-recalled vehicles to “at least 78 deaths” and more than 1,500 injuries. Which GM models are affected? According to consumer complaints, six different GM models may pose safety risks. Based on these consumer complaints and ample news media surrounding the deaths of 13 drivers over the past decade, GM has recalled these vehicles “because of defective ignition switches that can shut off engines and power systems and disable airbags.” GM mailed out the first recall notices last week to owners. In its recall, GM has indicated that the ignition defect “may have been responsible for 31 accidents and 13 deaths,” according to the New York Times. Automobile defects can cause serious injuries and often are linked to roadway fatalities. If you or a loved one sustained injuries in a car accident that might have been caused by an automobile defect, don’t hesitate to contact a product liability lawyer today. Can California Automobile Dealerships Be Liable for Product Defects?